The emotional complexity of horses is an amazing & profound thing. Below is a photo of Zindita, a mare that was due to give birth. Unfortunately, her baby was upside-down inside the womb, and when the birth took place, things went terribly wrong. Zindita survived, but the baby did not. Clearly distraught, Zindita struggled to recover after the event. Nearby, veterinarians had gone through a similar experience, a foal’s mother had died whilst giving birth. They saw an opportunity and introduced the pair to each other. Zindita became immediately protective of the foal, as you can see in the photo below. But would they bond enough to stay together? The photo above was taken hours after their meeting. The photo below shows them weeks later. The pair got along excellently. Zindita looks after the foal as if it were her own and both mother and child are happy and healthy. READ MORE: Mother refuses to leave her sick foal. DOWNLOAD: Ideas & inspiration for your indoor arena. Equestrians need the perfect pair of riding boots to achieve the varying tasks that are required of them. They need to have a high durability and be comfortable as well as look amazing when in the show ring. Therefore your riding boots are a large investment and it is important to get the right ones for you. Here are 10 brands of exceptional riding boots that will be perfect for you. This being one of the best-known equestrian clothing brands, is known for their high quality, durable products. Their boots are designed for comfort while looking good at the same time. Although they are known for their woman’s footwear, Ariat also have a good range of quality men’s boots. Parlanti boots are well used in the show ring their boots offer cutting edge technology and the option to have them either standard or custom made. Their show boots are not all they have to offer, with a gorgeous range of short boots and paddock boots available also. The Dubarry riding boots are made for the colder weather of the Irish climates of which the brand originates. They are a must have if you experience harsh winters, with undeniable quality and style. This brand offers a variety of beautifully designed riding boots that will make you stand out in the show ring. Der Dau offers a variety of styles ranging from simple and elegant to the more attention grabbing boots sporting patent leather and crystals. Middleburg offers more affordable boots while still being a stylish option. There are a variety of synthetic options to choose from for a tighter budget. This brand doesn’t offer riding boots, however they produce a variety of field boots and rubber boots. Although not as beautiful and elegant as dress boots, these are practical for barn and stable jobs and for the colder weather. 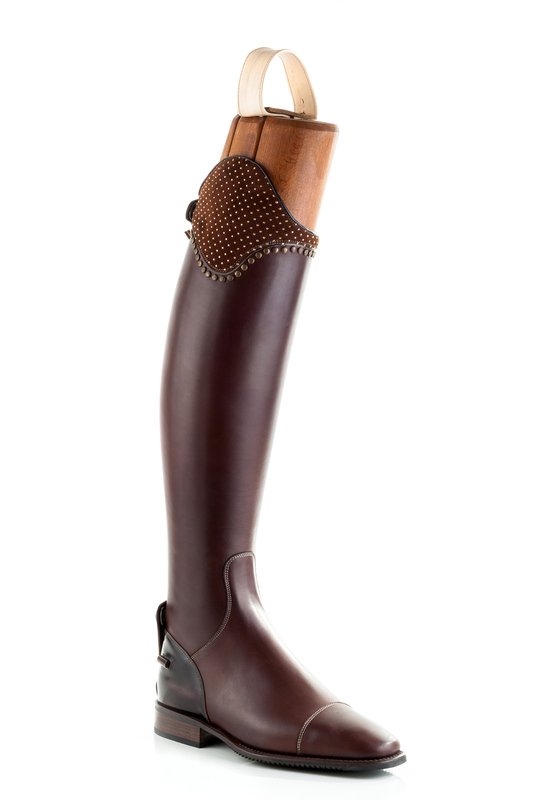 E. Vogel are well known for their amazing custom riding boots. There are a large range of field and dress boots to choose from in both western and English styles. After choosing a product the company will make the boots specifically to your dimensions for the best fit and comfort. This brand is well known for their comfortable and affordable riding boots. Although not as expensive as other brands of riding boots they are still of high quality. Mountain Horse is another brand that is known for producing affordable yet quality riding boots. They have a wide range of English riding boots and work boots to choose from. De Nire offers top quality boots that stand out from the rest with their gorgeous and original styles. Their boots are top-of-the-line with a wide variety of styles and options to choose from. These enormous grain sheds are part of a $20 million dollars project for Riordan Grain in Lara, Geelong. The structures allow transport vehicles to drive in, load up and ship Riordan’s product out. An excellent project on an impressive scale.